Fostering the growth and development of volleyball in Canada. The sport is played at various levels of competition throughout the country. Design and layout for the 2017-2018 annual report. 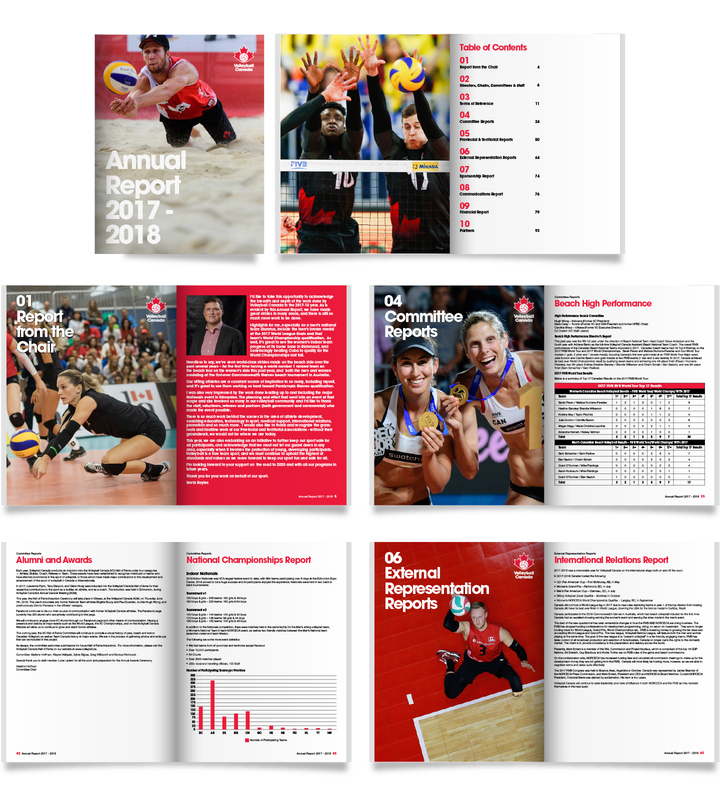 Keeping with Volleyball Canada’s new branding guidelines, the annual report was styled with a timeless look. The use of strong imagery is seen throughout the annual report in order to highlight the athletes. The project required lots of attention to detail in order to assure that the information was accurate. The result is a simple yet beautiful publication that keeps the viewer focused on the annual report’s intricate information.